What might best be described as detour trades — ships switching destinations to profit from higher cargo prices — will become more challenging to execute in 15 months’ time because of changes to the kinds of fuel vessels must burn, according to several industry analysts and a former engineer for A.P. Moller-Maersk A/S. The deviations — often delivering outsize profits to traders — will become tougher for two reasons. 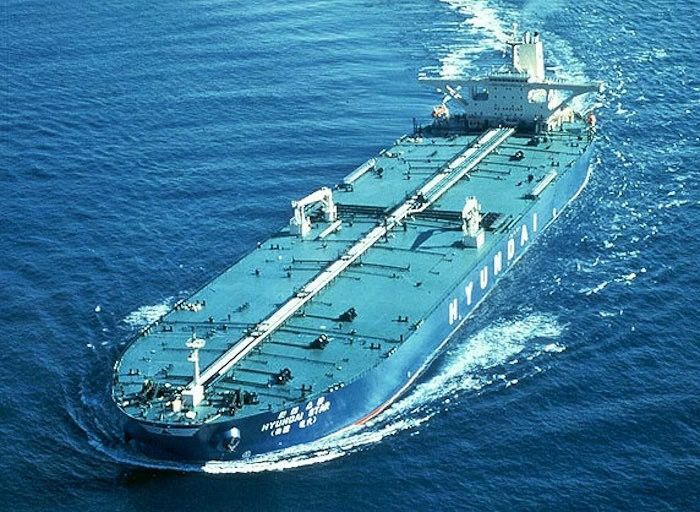 The first is that fuel for the shipments currently looks like it will cost a lot more than what owners pay today; the second is that fuels may be incompatible from one supplier to the next, making topping up a more complicated task. Some shipping groups have even said the lack of a uniform product could cause their carriers to break down. The trading hindrance is the result of a switch from a widely used shipping fuel today to a range of cleaner options post-2020, when International Maritime Organization rules to lower sulfur emissions will start. Deviations might not be possible if a vessel needed to sail to a location where compatible fuel was unavailable, according to Verle, who also previously worked as an engineer for Moller-Maersk. Detour trades happen intermittently, often helping to avoid localized shortages of a commodity when there’s an unexpected disruption in the supply chain. A batch of gasoline tankers heading toward New York switched away last month because of market conditions and the arrival of Hurricane Florence. Gas carriers, crop carriers and crude tankers deviated over the past year for various reasons. 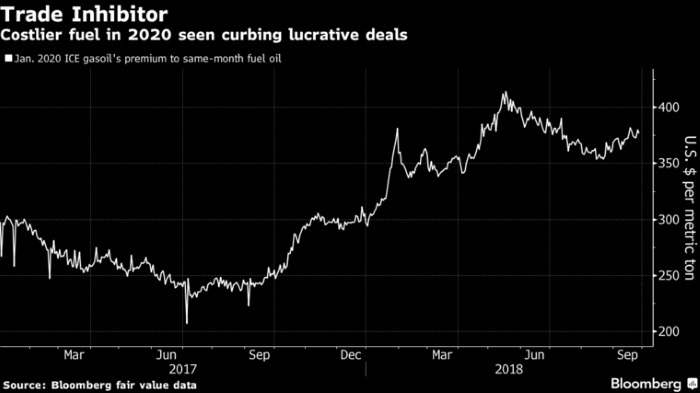 Cleaner, compliant fuels for purchase in 2020 are already trading at large premiums to today’s dirty bunkers. Since fuel is an owner’s single biggest cost, this would make shipping more expensive. Transactions involving lower-priced commodities like iron ore, where freight is a larger part of the delivered cargo cost, stand to be hardest hit, said Gelder. 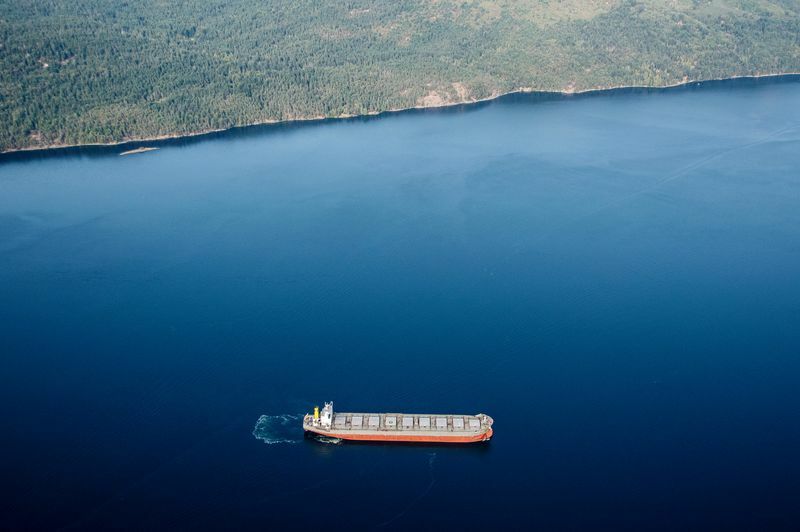 “It’s fair to say that it will make trades involving cargo diversions harder, but there are many variables,” said Peter Sand, chief shipping analyst at industry association Bimco, adding that he expects ship owners to be prepared and take precautions. The two main clean marine fuels from 2020 will be an existing 0.1 percent sulfur product and a new batch of so-called bunkers with maximum 0.5 percent sulfur. Shippers also have the option of continuing to burn today’s dirtier fuel, but must first install scrubbing equipment. Following the transition, availability at smaller ports not used to stocking different products could be challenging. 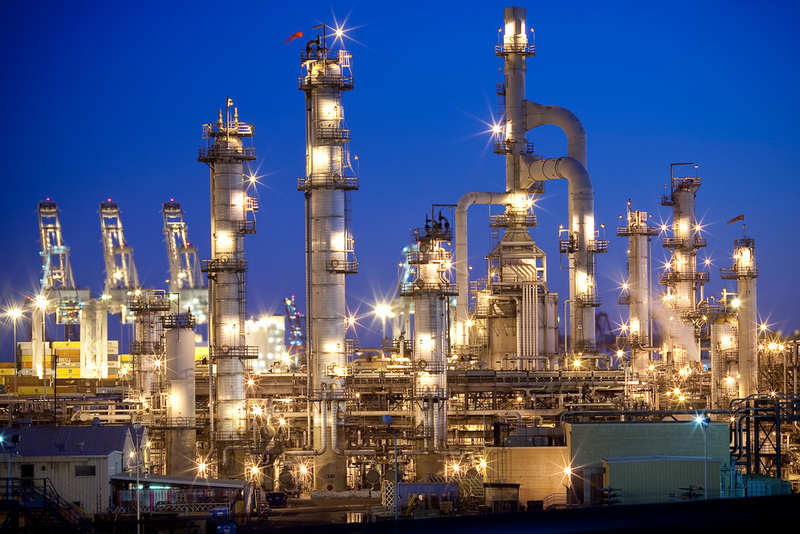 “If you’re mixing 0.5s and less-than 0.5s, and there’s carbon residue in the fuel, the risk will be worth considering,” said Rudolph Kassinger, who has more than half a century of experience of refining and petroleum quality testing. Shippers looking to dodge the problems by sticking with one fuel or the other face a number of snags. The 0.1 percent product has been available for years, Kassinger says, but it’s less commonly used because it’s more expensive. At the same time, the new 0.5 percent fuels could be made through different refining processes, or from different crudes. Some will likely contain asphaltenes, others won’t. If they’re mixed together, the asphaltenes could drop out to form a sludge that could damage the ship’s engine.